The demand for irrigation water is increasing worldwide, including regions in Germany with low precipitation and water-demanding crops. In this study, history of irrigation water demand (IWD) in the German nation states in relation to the yield of four crops (1) potato, (2) spring barley, (3) oat, and (4) winter wheat, during droughts between 1902 and 2010 was analyzed. The difficulties caused by the shifting borders of the German nation state over the past century were dealt with by dividing the data for the region into four time periods for the analysis. Low precipitation during droughts influenced crop yield in the German nation states. Analyses of droughts resulted in no clear conclusions; however, it appeared that after 1950, German nation states droughts had a negative influence on the yield of the four crops despite the important role irrigation played in German agriculture since 1960 in the German nation state. Lower yield because of weather conditions since 1950 was primarily attributable to the high-yield potential of improved crop varieties, for which yield potential is only reached under optimal growing conditions. In this study, the analysis of the modeled historical IWD in agriculture revealed the urgency with which the German crop production systems must adapt to extremes in a changing climate not only by improving irrigation systems via irrigation scheduling but also by greater higher diversification of crops. 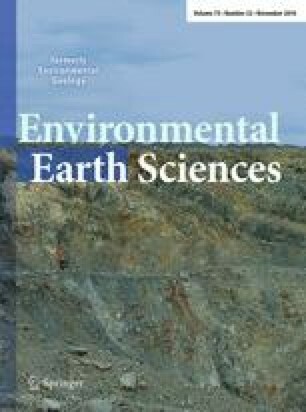 This article is part of a Topical Collection in Environmental Earth Sciences on “Water in Germany”, guest edited by Daniel Karthe, Peter Chifflard, Bernd Cyffka, Lucas Menzel, Heribert Nacken, Uta Raeder, Mario Sommerhäuser and Markus Weiler. This work was supported by the Leibniz Competition (formerly SAW Procedure) within the Leibniz Association, Grant Number SAW-2011-ATB-5. The authors gratefully acknowledge the support from two anonymous reviewers.